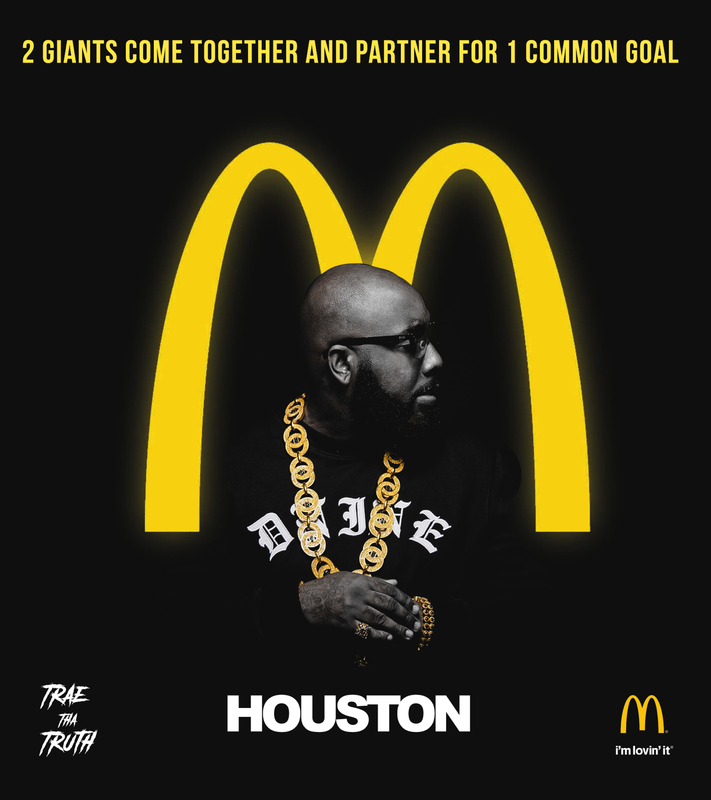 Veteran hip hop star, Trae Tha Truth, has announced his official partnership with the nations largest fast food chain – McDonald’s. This partnership will focus on philanthropic initiatives within the Houston, TX community alongside of support of Trae’s upcoming album, the 3rd installment of Tha Truth. “It is truly a blessing to be able to be recognized by a giant company like McDonald’s for my work within the Houston community as well as team up to expand and enhance my music,” Trae states. “I think that this partnership is going to be fun and interesting… Houston we will do it for you!” This partnership is slated to be larger than life, highlighting two of Houston’s greatest entities, stay tuned for what’s to come.